Vacuum blenders are a revolutionary kitchen appliance designed to make better tasting smoothies that stay fresh for long. Compared to traditional blenders, the best vacuum blender products use vacuum technology which gets rid of air inside the container before the blending process starts. If you’re interested in making tasty and fresh smoothies, then you might want to take a look at our list of the best vacuum blenders on the market, and find out how you can pick the right one for your needs. The Dynapro is a powerful commercial-certified blender which offers excellent blending performance. It features a large, ergonomic carafe designed for maximum blending efficiency, and it even comes with a generous 15-year warranty for home use. Though not as powerful as the Dynapro, the Ninja Smart Screen blender is designed for excellent blending performance at a very affordable cost. Its FreshVac technology lets you enjoy fresh and nutritious smoothies all the way. Designed for personal use, the Nutri Ninja has almost the same features as the Ninja Smart Screen blender. However, it’s a bit smaller and less powerful although more affordable. It comes with single-serve cups for on-the-go convenience. Sporting a powerful 2.5 HP, 1865-watt motor, the Dynaproblender features a very high-powered output, making it one of the best vacuum blenders as far as power is concerned. This allows it to crush ice, frozen fruits, vegetables, and leafy greens at 30,000 RPMs. This makes it ideal for use in both commercial and residential settings. Aside from that, it also has the vacuum blending technology which sets it apart from most competitors. It’s made possible with its handheld vacuum pump which is responsible for removing extra air from inside the container, thereby preventing oxidation. Moreover, the pump runs on batteries and can be attached to the container with ease. Another amazing feature of the Dynapro is its temperature control capability which is effective for avoiding overheating, thereby preventing the loss of nutrients.It has a thermochromatic ink raw-temperature indicator which lets you monitor the temperature of your blend. Moreover, the blender comes with a large and wide carafe which can hold up to 64 ounces of liquid, making it the ideal choice for blending huge volumes of smoothie at once. Also, its large top opening allows you to add ingredients without spilling, and compared to vacuum blenders with smaller carafes, this one is very easy to clean. Overall, the Tribest Dynapro blender is an excellent choice if you’re looking for a highly powerful blender which is capable of blending large volumes of ingredients at the same time. Also, its generous 15-year warranty for home use is too good of a deal to miss. Perhaps its only problem is that it’s a bit bulky and relatively pricier than the other best vacuum blenders out there. The CT661V countertop blender from Ninja comes with a touchscreen display and intuitive controls for added convenience and ease of use. It includes a number of pre-set programs that will let you make smoothies and drinks efficiently. 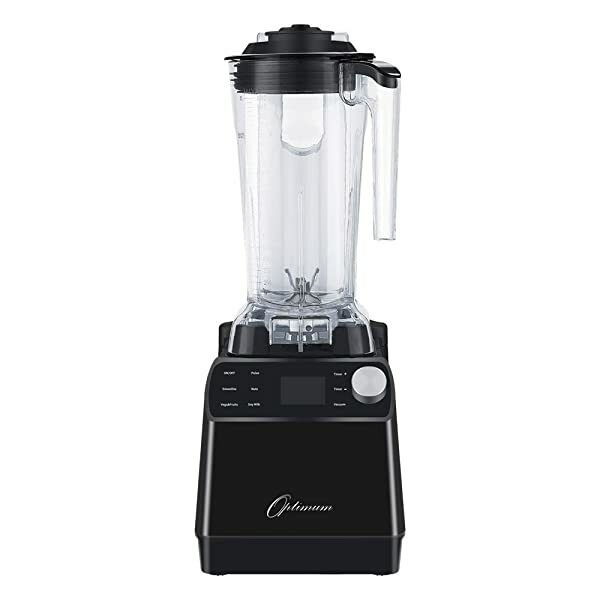 One of the most prominent features of the CT661V blender is its auto-IQ system which can recognize if the blender pitcher jar or cups are securely locked on the base. Aside from that, it also offers you a number of blender functions to choose from with just the press of a button. All in all, there are 7 pre-set auto-IQ programs for recipes like smoothies, drinks, and shakes. 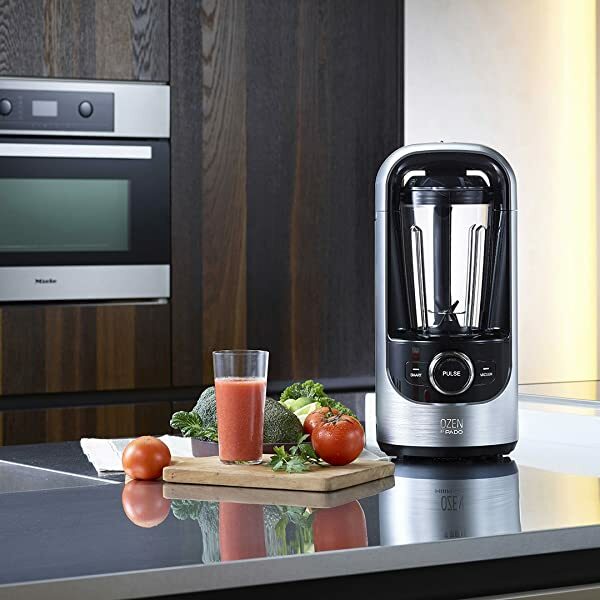 With such modes, it will be possible to make instant smoothies from either fresh or frozen ingredients. The blender uses the FreshVac technology through the FreshVac one-touch pump which removes any oxygen before blending. This helps preserve nutrients, flavors, and colors from your ingredients, allowing you to enjoy smoothies that are better tasting and long-lasting. 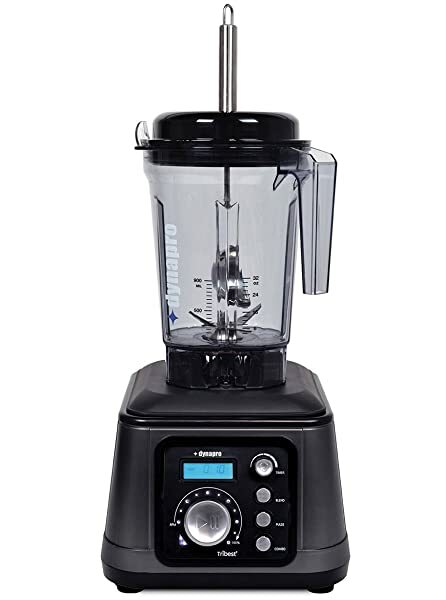 Powering the Ninja CT661V blender is a 1,400-watt motor base which does an excellent job in crushing ice and frozen ingredients quickly and easily. 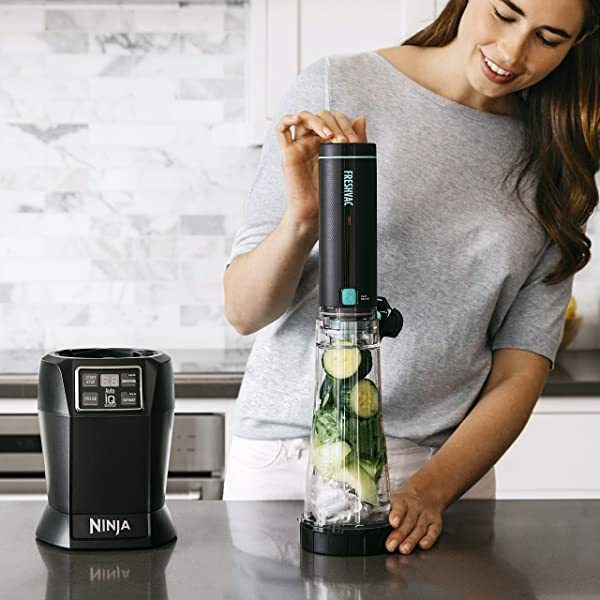 Also, just like any other Ninja blenders, it comes with built-in suction cups at the bottom of the base to help secure the base and pitcher while blending. 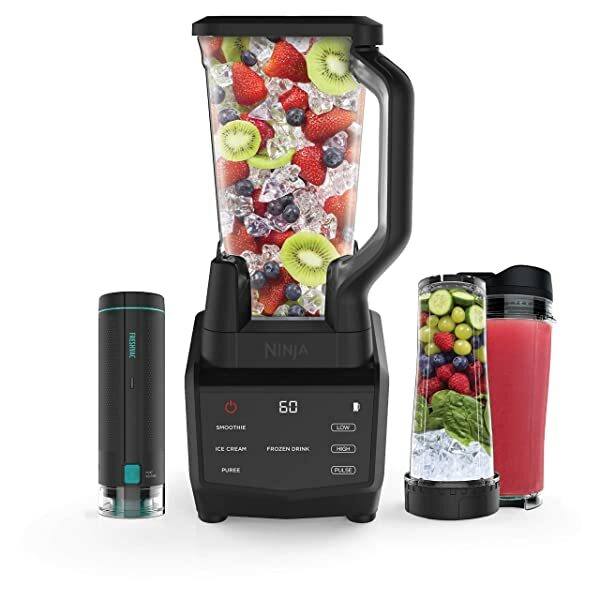 The Ninja CT661V blender is ideal for those who want to enjoy amazing homemade drinks and smoothies without having the spend more. Available for only around $100, it surely is a budget-friendly option which doesn’t fall behind when it comes to efficiency and features. The Nutri Ninja Blender BL580 is the more popular version of the BL480 Auto IQ blender. While it has almost the same features, the BL580 is slightly more powerful and has the FreshVac pump and jars. It has a 1,100-watt motor which is more than enough to provide you with fresh and better-tasting smoothies and drinks. The blender’s auto-IQ technology features two different modes that will run the blender for you. First is the Smoothie mode which lets you blend any frozen food efficiently to make into smoothies. The other is the Extract mode which, as the name implies, is made to extract nutrients from leafy vegetables and fruits. That aside, the blender includes two 24-oz single-serve cups which are made to work with the pump. In case you’re wondering, the FreshVac pump is designed to remove any extra oxygen from the container, thereby ensuring that your smoothie or juice will last longer and will have more color and better taste. 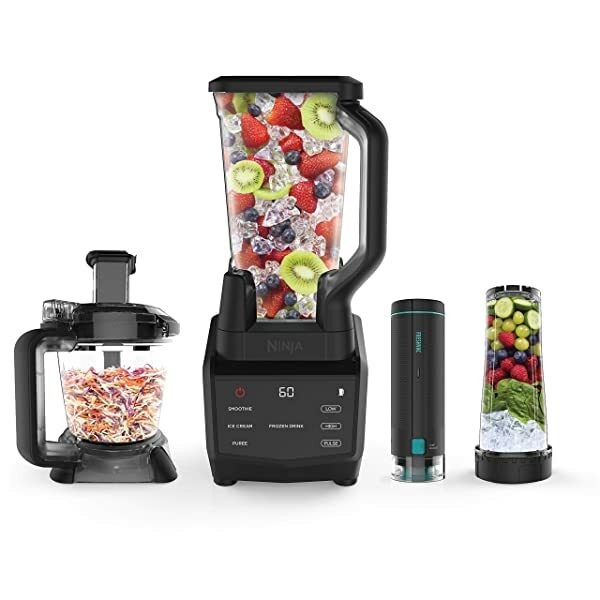 The Nutri Ninja BL580 is an upgrade of Ninja’s BL480 blender with its new design and slightly powerful motor. It also has the FreshVac pump which is designed to create a smoother and more delicious smoothie. Its Smoothie and Extract modes are a welcome addition to the normal Pulse mode. Therefore, you can enjoy automatic blending by just pressing one of the buttons. If you prefer this, then the BL580 might just work for you. The Kuvings SV500S is not your average vacuum blender. Like the Dynapro, it also features a very powerful motor that’s capable of blending even the toughest smoothie ingredients. However, unlike the Dynapro, the SV500S doesn’t produce a lot of noise during operation, thanks to its removable noise reduction cover designed to complement its ultra high-speed and high-power output. Included in the package is a vacuum sealable storage tumbler which helps keep your smoothies fresh via vacuum sealing. This allows you to blend smoothies and store them inside your fridge without worrying about them losing their precious nutrients, taste, and color. Compared to the average high-speed blender, the Kuvings SV500S blender uses the revolutionary vacuum technology, making it one of the best vacuum blenders out there. It uses the 3D-moving system which features six heat-treated blades that rotate in three different dimensions which allow the ingredients to fall to the bottom, resulting in an even better blend. 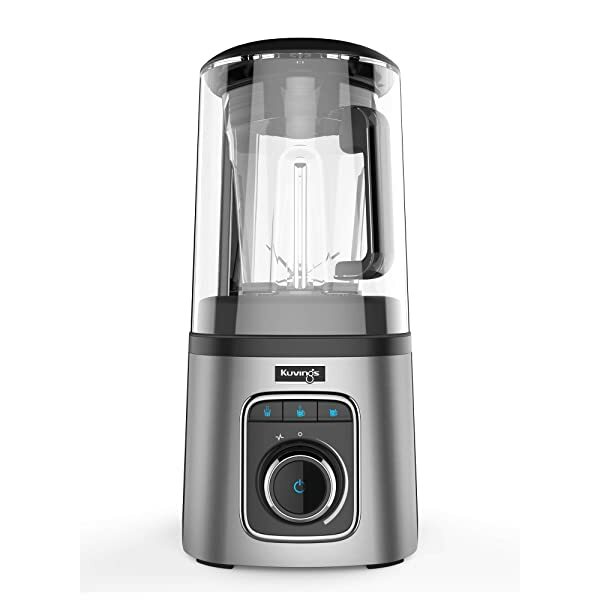 Additionally, it comes with the Auto Blend technology which automatically adjusts the blender’s settings depending on what you plan to blend. Therefore, if you plan to blend either a smoothie or a dressing, this feature will adjust the settings accordingly to provide you with perfect consistency. All you have to do is press the Auto Blend function. The Kuvings SV500S vacuum blender is the ideal option if you need a powerful machine that doesn’t produce a lot of noise during operation. However, due to such feature, it is available at a very expensive price, even more expensive than the Dynapro. The Smart Screen CT672V blender can definitely hold its own when it comes to blending efficiency. In fact, it’s one of the best vacuum blenders in terms of pricing, sitting at less than $200. But apart from its affordable price, it certainly has a lot to offer. It comes with a 1,400-watt motor which is more than enough to provide you with long-lasting smoothies. Its innovative FreshVac technology is designed to remove any air from inside the container before blending, thereby resulting in a smoother blend with even richer taste, vibrant color, and lesser foam. However, one of the things that make the Ninja Smart Screen blender stand out is that it’s more than just a vacuum blender. Aside from the blender, the package also includes a 20-ounce cup for single servings and a 72-ounce vacuum pitcher which lets you create purees, smoothies, dips, and more with just a press of a button. As mentioned earlier, it’s not as powerful as the Dynapro. However, it’s incredibly versatile and easy to use. There are 9 pre-set auto-IQ programs designed for various recipes like milkshakes, salsa, pizza dough, and more. Aside from that, each program even has its own unique pattern for speeding up, pausing, slowing down, or pulsing whenever necessary. The Ninja Smart Screen countertop blender is no doubt one of the best vacuum blenders on the market. Its excellent performance, paired with its FreshVac technology, guarantees that you can enjoy fresh and long-lasting smoothies which are more nutritious and delicious than the ones created from traditional blenders. The OMorc smoothie blender is powered by an 800-watt motor and capable of producing a 21,000 RPM output. While it’s certainly not as powerful as the ones we’ve mentioned in this list thus far, it’s still powerful enough to crush ice and frozen ingredients. In case you’re concerned about its motor power, just keep in mind that 800 watts is just a few watts short of the typical garage door opener’s wattage. Simply put, it’s still pretty powerful, so it shouldn’t be that much of a concern. There are six stainless steel blades that are sharp enough to cut the ingredients and give you smooth and creamy drinks. 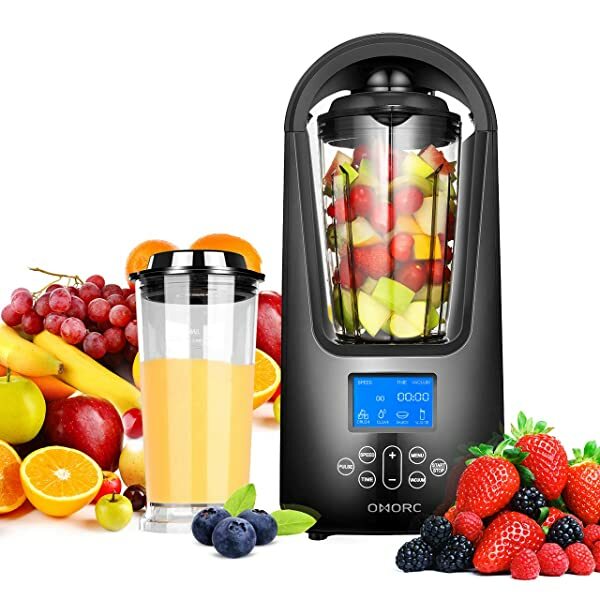 While it’s mainly for smoothies, the OMorc blender is also ideal for making juice with the help of its vacuum technology, a feature that removes extra oxygen from the container while blending, allowing you to enjoy drinks that taste better and can last for a longer period of time. This technology, along with the blender’s sufficient power, allows it to produce smooth juice without any bubbles or froth. Aside from that, it’s made of BPA-free Tritan material which is completely safe and non-toxic, even for babies. Lastly, it has a one-click completion function which lets the vacuum do the job on its own with just a press of a button. All in all, the OMorc blender is an efficient blender which is powerful enough to handle a number of tasks. Although it certainly pales in comparison to the other products in terms of power, it’s nonetheless an ideal choice if you just want to enjoy fresh smoothies and drinks while at home. With its powerful 2,238-watt motor, the Optimum VAC2 blender easily outperforms the other high-powered vacuum blenders in the market. This lets it crush ice and other frozen ingredients with the utmost ease. Like any other blender on this list, the Optimum VAC2 removes extra oxygen from the container before blending. The VAC2 uses the Vortex technology which allows it to blend all of the ingredients to achieve a super smooth consistency, resulting in really smooth drinks without any froth. Of course, it also makes sure that the nutrients, color, and flavor are preserved. Included in the package are a BPA-free pitcherand 6 hammer-forged stainless steel blades which can blend your ingredients very smoothly. It also has separate vacuum tumblers which let you blend directly into the container you’ll be drinking from. As such, you can reduce oxygen exposure as much as possible by removing the need to transfer the blended mixture to another container. Apart from its overall quality and power, Optimum also offers a 30-day free trial with a money back guarantee so you can try the product risk-free. It also comes with a 10-year motor and 5-year part warranty. Optimum VAC2’s incredibly powerful output makes blending smoothies and other drinks quick and convenient. And since it has the vacuum technology that vacuum blenders use, your drinks and smoothies will last longer without the worries of oxidation. The Ozen 500 blender from Padois a Korean-made blender that uses the Korean vacuum technology for removing extra oxygen from the container when blending. As such, you can expect fresher and tastier smoothies and drinks without having to worry about the effects of oxidation. Its 6 blades have a unique hexadesign which lets it blend ingredients more finely, thus giving you with a richer and more colorful blend. Aside from that, you can also find a smart function which lets the blender do the job on its own with just a single click. Of course, you have the option to manually blend the ingredients if you want to have more control of the blending process. When it comes to safety, the Ozen 500 has a triple safety system to make sure that the blending process is safe for all users. It’s also UL certified, thereby giving you the guarantee that it’s one of the best vacuum blenders in the market. If you’re into making juice, then the Ozen 500 is a really perfect option. In fact, a 2012 study at the Texas A&M University revealed that juice which is made using a blender contains more amounts of phytonutrients compared to its electric counterpart. Although it’s particularly suited for making juice, it’s also very handy when it comes to blending ingredients for smoothies and other drinks. The Ozen 500 is a smart vacuum blender which features an innovative seal technology for cutting down on possible oxidation. Compared to other blenders, it has a compact size which makes it perfect for kitchens with tight spaces. It even has a sleek design which can complement almost any kitchen design. This high-speed blender from Forton is more than just a blender. In fact, it’s a combination of a blender, vacuum machine, and ice breaker. That said, it’s powerful enough to crush ice and other frozen food such as seeds, fruits, and vegetables. 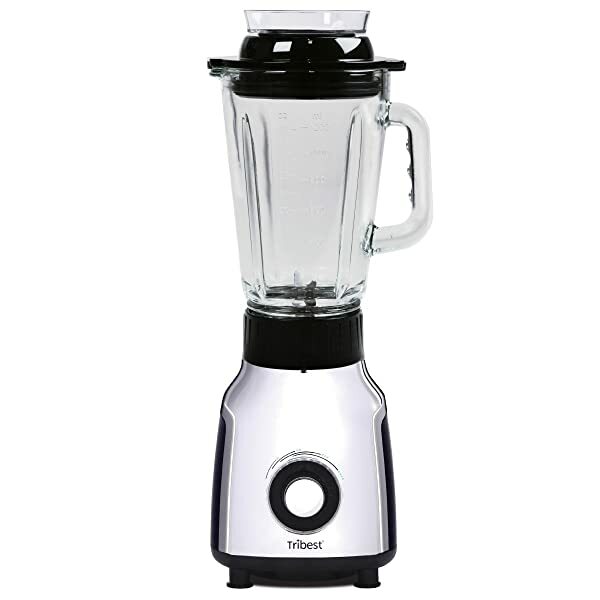 However, it’s by far the less powerful blender in this list with only a 500-watt motor. Despite that, it’s still a highly efficient and affordable machine. For this reason, it deserves a spot as one of the best vacuum blenders out there. The Forton vacuum blender comes with a blending glass cup which is completely safe even for children. Meanwhile, its body is made of heavy-duty stainless steel to ensure that it remains durable and will last for a long period of time. Aside from that, the Forton blender comes with 6 stainless steel blades with a maximum speed of 21,000 RPMs which can effortlessly crush most ingredients. You have the option of either operating the blender manually or setting it to automatic mode and let it do the job for you. Lastly, it has non-slip suction cups located at the base, securing it in place during operation. 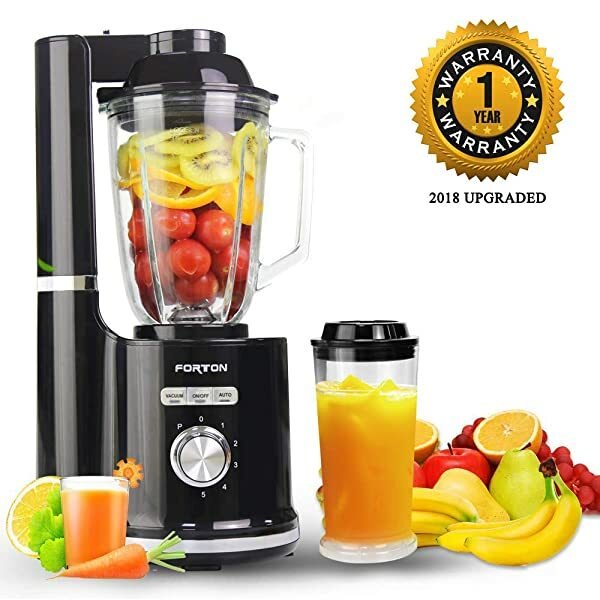 The Forton vacuum blender is certainly a great product if you want an excellent smoothie juicer blender that comes with a vacuum feature. While not that powerful, it can certainly make up for that with its durability, convenience, and ease of cleaning. Compared to the Dynapro, the Tribest personal vacuum blender is a slightly more affordable yet less powerful option. And unlike Dynapro, the PBG-5001-A is a lot quieter during operation. It has glass containers along with stainless steel blades to make sure that your food won’t ever come in contact with plastic. This means you don’t have to worry about any chemicals from plastic finding their way into your food. The package includes a 42 oz. and a 16 oz. glass container which you can easily switch any time you want. This allows you to blend all your food ingredients into any of the container you want. The best part is that you don’t have to pour your smoothie into a separate container, hence reducing its exposure to oxygen. The PBG-5001-A blender comes with two different operating modes: the Variable Speed Dial and the One-Touch Pulse Button, both designed to let you operate it with ease. This option also makes the blender more versatile compared to most personal blenders which feature only the Pulse function. The PBG-5001-A is the ideal option if you need a personal blender which is powerful enough to get the job done for you. It also operates quietly, making it perfect for those who don’t want too much noise while blending. However, it only sports a 5-year warranty as opposed to Dynapro’s 15-year warranty. Despite that, it’s a good choice for the best vacuum blender nonetheless. Overall, we believe the Tribest DPS-1050 Dynapro is the best vacuum blender out there for a number of reasons. First, it sports a really powerful motor which is capable of crushing ice and other frozen food with ease. This allows you to enjoy smoother smoothies with every use. Although it falls behind in power when compared to Optimum’s VAC2, its power output is still more than enough to handle even the toughest ingredients. Second, its large 64. oz carafe allows you to blend a lot of ingredients all at once. This makes it convenient during situations where you need to blend smoothies for a number of people. Third, it’s made of BPA-free materials, and its blades are made of 100% stainless steel. Although you might be a bit hesitant due to its hefty price tag, the Dynapro is certainly a worthwhile investment given that it can last for years. There’s even a 15-year warranty for home use and 3-year warranty for commercial use.